Author RESOURCE – Sell More Books! Need to Sell More Books? Direct response expert Diana Loera shows you how to utilize proven direct response marketing strategies to increase your book sales. It sounds very easy to make money by selling a book but once you have a book published you find that the playing field isn’t level. There are authors making money each week and there are others who won’t make even one sale. To be successful you need a proven strategy but strategies take time, money and expertise to develop. Many successful authors tout the value of having an established email list of fans who are eager to snap up your next book. But what if you don’t have an email list? Diana walks you through how to build brand recognition for your book. Her strategy is written for non- fiction writers but fiction writers will find valuable information in the marketing section and both non- fiction and fiction writers will find value in her established list of resources. Don’t have a book topic? No worries as Diana shares with you a list of possible topic ideas that you are free to claim as your own. Overwhelmed by the idea of actually marketing a book since you’re a writer not a marketer? No worries – Diana’s strategy is laid out so almost anyone can follow it and she also offers a lifeline as backup by including her personal contact email if you have marketing questions after reading her book. 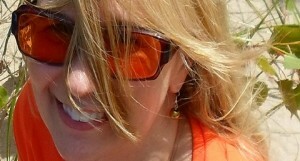 For over 15 years Diana Loera owned and operated a Direct Response media agency in the Midwest. For over 20 years she consulted for clients in the US and abroad regarding infomercials, advertising, direct response and media buying. She also has written hundreds of scripts for infomercials and call centers in the US and abroad. An avid reader and researcher, she began writing books in 2011 and now spends most of her time writing and helping other authors. Diana is the author of numerous books. Click HERE to see all of her books on Amazon. Five of her books – Three volumes of What I Did to Sell More Kindle Books on Amazon, Per Inquiry Secrets Revealed and Fast Start Guide to Flea Market Selling were written to share with others her successes as an entrepreneur. She brings a unique slant of writing to the table with her six entrepreneurial books- three volumes of What I Did to Sell More Kindle Books on Amazon, What I Did to Make Sales on Fiverr From Day One, Per Inquiry Secrets Revealed and Fast Start to Flea Market Selling. Her years of expertise as a marketer give her an edge for success over others. She shares her marketing strategies and techniques in both of these books. An avid reader (she entered first grade reading at high school level) Diana reads several books a week and enjoys supporting Indie Authors by reading as many indie pubs as possible each month. Diana resides in the Midwest in a rambling 1890 built Victorian home with her husband, dog and a few cats. 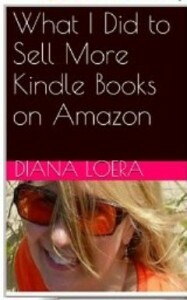 She is currently working on four more recipe books and volume four of What I Did to Sell More Kindle Books on Amazon.